“Now this is living the life of Riley,” Tara giggled as she petted her kitty, Fluffy, the queen of the house. Fluffy moved onto her back so she could get some tummy scratches. David laughed, “You already live a life of Riley,” he folded the paper he was reading as he teased his wife. 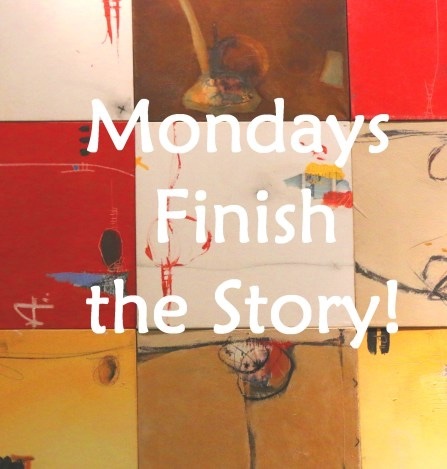 This is my 100 word story for the challenge, Mondays Finish the Story. Barbara Beacham is our kind host and she provides us with our photo prompt, the first sentence to our story and approximately 150 words with which we create our stories. This challenge is open to all who would like to participate. For more information, click on this link. To read all the fantastic stories written by awesome writers, click on this link. Succinct but well written piece of fiction! I know, it’s a cool picture! He is a wise husband – hope he is already booking that cruise. I’m not so sure she’d wish to be kept! Haha! I guess that husband got the message 🙂 Cute story! I like it very nice! Ha, ha, I’m leaving on vacation tomorrow, but last week after I made the reservations hubby called to tell me we might have to cancel. I told him no way or I was going by myself. He made sure he could get the time off, he is the boss, after all! Great story! Sorry I haven’t been participating, too many other obligations, but I’ll be back soon! I don’t blame you for saying you will go alone if necessary! LOL! I look forward to you coming back and writing more flash fiction for FFfAW! That was a fun, sweet little scene. So that’s how to get a vacation cruise. I like your style! 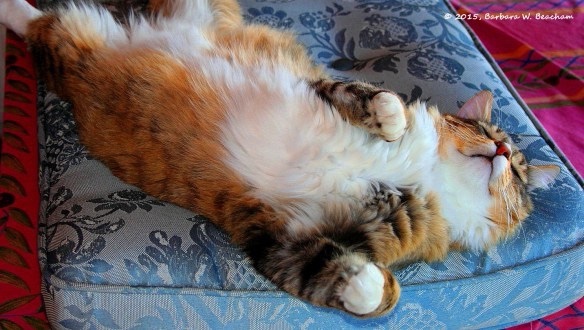 I agree with the other comments I just want to rub the cat’s belly, it looks so content. I agree – that looks like a very happy kitty! An intelligent way of getting a great holiday! Lovely names you’ve chosen : Tara and Fluffy. Thank you Graham. I think I have cruise on my mind from you going on one! LOL! LOL! Have you cruised before? If not try it, just a few nights to see if you like it! No, I never have but it sounds fun! That would be fun to bring the cat with them. 🙂 Thank you!! Haha! That’s right! I forgot about that little ditty. “Happy wife, happy life.” Thank you! Haha–the cat has helped to expose them to an issue in their own lives–and perhaps provided a solution! Fun piece. Sometimes the wife needs to remind the husband just how much she’s doing around the place. Nice story! That’s true, especially if he is a husband that doesn’t help around the house. Thank you Ali!! ha ha. The husband wised up quickly before she could dig in her claws 🙂 Nice one PJ. If only change were that easy? I expect he could sense fire in her eyes! Probably so! Thank you Roger. We have yet to have a conversation such as this. My wife loves to clean- only because I love to cook! That’s what I keep telling her! LOL! Does she believe you yet?? Not quite yet. But any day now. I can feel it! Hahaha! You had me going there…!! You are right! He likes the life of Riley and wants to continue living that life. LOL!! A cruise is just a small payment. Sometimes you have to force the head of the family to come back to real life. Well done Tara for reminding David. Lovely short story again! Thank you so much Scrapydo2! !